The classic Disney film gets the musical treatment with a few surprises up its sleeve. When Artistic Director Matt Gutschick and the rest of the creative team at The Rose Theater choose to tackle Disney and Cameron Mackintosh’s musical Mary Poppins, they knew it would be one of the organization’s most challenging undertakings. Based on the timeless books of P.L. Travers and complete with all the beloved songs from the Academy Award-winning Disney film, the stage musical tells the inspirational tale of the amazing flying nanny who’s practically perfect in every way. The Rose’s production includes what Gutschick called a small but talented cast of local performers. While the many of the songs and subject matter from the classic film remain in the stage production, Gutschick said that the musical medium gives audiences a chance to look farther into the minor characters’ lives. While the film version relied heavily on set pieces and spectacle, the stage production allows for dynamic ensemble dance numbers and unique vocal solos that provide an extra layer of nuance to the story. Gutschick said audiences will get a chance to relive some of their favorite moments from the Disney film while finding new favorites in a reimagined story. With a skilled troupe of actors, talented designers, and outstanding crew, Gutschick feels that their production rivals that of any Broadway tour. 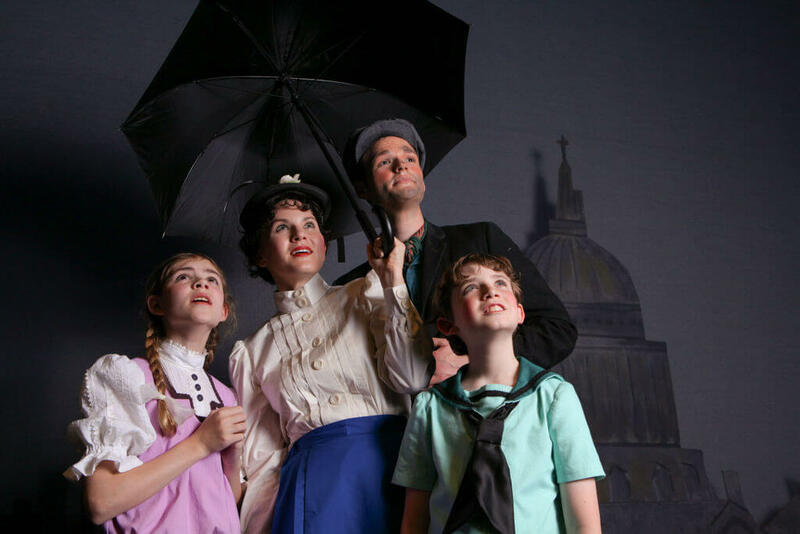 The Rose Theater’s production of Disney and Cameron Mackintosh’s Mary Poppins is currently running now through June 28th on their mainstage located on 20th and Farnam St. For more information on the production, visit www.rosetheater.org.